Camera tests: Battle of the 4.7-inch iPhones 6, 6s, and 7! 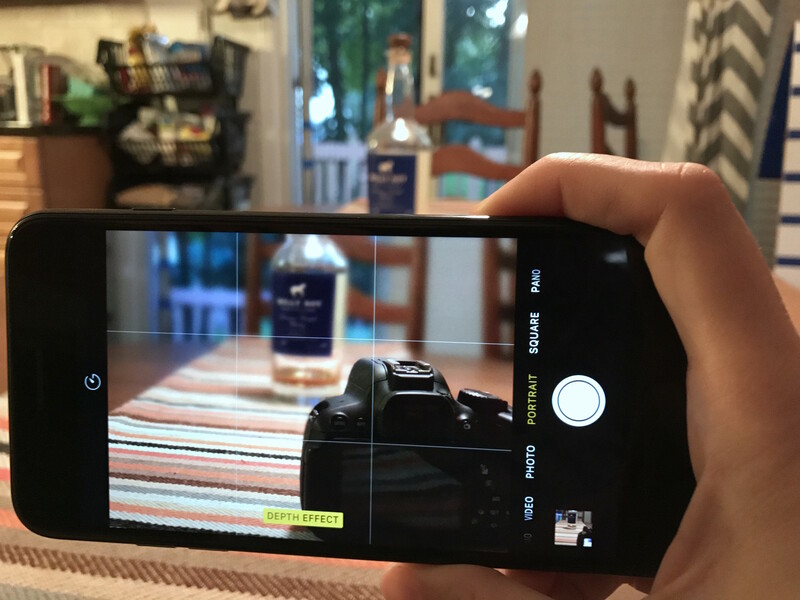 When it comes to cameras, how does your 4.7-inch iPhone compare? While I was shooting images for our all-shipping-iPhones camera test (SE, 6s, 6s Plus, 7, 7 Plus, and 7 Plus telephoto), I had quite a few people ask on Twitter about the iPhone 6. I didn't include it in our big test simply because it was too many iPhones to carry around NYC by myself — five was pushing it! — but I still wanted to give iPhone 6 owners an idea of how their shots might compare to the new 7 camera. So, without further delay, here's a quick test comparing all of Apple's 4.7-inch phones: I went through a variety of common shooting situations, as well as a section on color tests. We're working on getting galleries to properly display in the iMore app and on RSS; until then, to properly view these photos, please visit our website. I shot with the iPhone 6, 6s, and 7 over the course of a few days using just the phones and the Camera app. The resulting photos haven't been touched up in any way — they're exactly the way the iPhone's image signal processor (ISP) made them, save for some image compression from uploading to our server. Our first major round of testing involved walking around a park and photographing scenery, as well as some portrait shots, selfies, and a cute dog or two. We started with a good old-fashioned outdoor portrait in bright — but not direct — sunlight. In general, you're not going to see a huge improvement from phone to phone when shooting in this kind of environment, save for some extra background detail: The iPhone has been great at shooting well-lit outdoor portraits for years, and this shoot was no exception. All three phones put out nice photos here, though with slightly different color tones: The 6 tended to tint blue and over-saturated to mask lack of detail in the background, while the 6s and 7 have more reddish hues. The image signal processor on the iPhone 7 goes in almost the opposite direction of the 6, giving a much more desaturated and contrast-heavy look than either the 6 or 6s, though it appears to do so in order to capture more detail in the background. I tend to prefer the coloration of the 6s more here, but the level of detail on the 7. Shooting portraits at a distance is where we start to see the iPhone 7 pull away. At small scale, these shots of me underneath a bridge (shot at a shutter speed of 1/30) look pretty similar, but when we blow up the photos, we start to get a very different impression. At a 100% crop, the iPhone 7 again has a little less saturation than its 6 and 6s peers, but vastly more detail: You can see individual hairs and far more folds in the scarf and jacket, and the Apple Watch display is practically readable. This kind of extra detail may not matter much for your average Twitter or Facebook photograph, but it's hugely important for users who might want to blow up their photos for wallpaper, further editing, or printing. With the iPhone 7 sporting a newly-enlarged 7-megapixel sensor, it felt only right to shoot some outdoor selfies while we were at the park. The front-facing camera is one of the big photographic differences between the 6, 6s, and 7: The 6 sports a 1.2-megapixel sensor, while the 6s has a 5-megapixel option and the 7 has the aforementioned 7 megapixels. The 6s and 7 are pretty close to each other in quality when it comes to bright light, but the 7 again offers a little bit more detail in the darker areas of the photo (under the collar of Rick's shirt and the trees in the background). The 6's 1.2-megapixel sensor just can't compete in terms of data — it renders the scene with a much more blue tint, and without the level of detail. For our HDR shots, we tried to grab extra-tricky lighting with plenty of light and dark spots. Rick is practically backlit, here, with the sun shining in the upper left corner on a small pond and trees. Given the very visible presence of the sun, all three of the images include lens flare, though the 6 bears the worst of it, with the 7 walking away with barely a few beams in the upper left corner of the picture. As with the portrait, the iPhone 7's ISP tends to process photos with more contrast than the other two smartphones, though that results in less light fuzz around the image, and clearer background details (like leaves in the pond), even though certain portions of the image are by nature darker than with the iPhone 6s. This next shot is very similar to the one above, but we've removed the human subject in exchange for a nice landscape of differently shaped and colored greens, a brown road, and a grey border wall. As with the other HDR image, the iPhone 7 escapes with the least amount of lens flare and refraction, and offers dark shadows without completely destroying detail (especially close to the light source). The 6 doesn't do too poorly here, though it can't quite capture the shadows with enough depth in comparison to the 6s and 7. For a wide landscape shot, we chose the riverbank: It not only had a wide variety of colors (blue sky, red bridge, green and yellow foliage, darker blue river), but also light variation. You can really see the iPhone 7's f/1.8 aperture at work over the 6 and 6s's f/2.2 in the riverbank foliage: Despite shooting at a faster shutter speed (1/1200 vs 1/800 for the 6s and 1/1100 for the 6) than the other two smartphones — and thus, giving the sensor less time to get light — it has the greatest detail of all three photos, while avoiding the over-saturated blue skies and river of its predecessors. I'd always loved the iPhone's bright blue tint for clear skies, but it's somewhat more remarkable to see the sky exposed as it truly looked that day — with a softer, gentler blue. We shot a lot of beautiful flowers and plants while wandering around the park, but this vine helped demonstrate another benefit of the iPhone 7's f/1.8 aperture: Shallower depth of field. Though I do prefer the color tone and exposure of the iPhone 6s (thanks to its ISP exposing the scene at a shutter speed of 1/120th second in comparison to the 7 and 6's 1/60th), the soft optical blur on the background and light refractions through the trees provide for a more pleasing overall macro image. The 6 tries to get a nice background going, but it ends up looking more like camera shake than true optical blur. What camera comparison is complete without gratuitous cute animals? Not this one. Outdoors and in great light — with little movement from our subject — all three iPhone models take great shots. You can see slightly more detail in the darker areas of the pup's fur with the 6s and 7, but overall, all of the cameras do well here. Better contrast, more light, nicer color tone: In a low-lit bar, the iPhone 7 captures a much clearer picture of the scene as-is thanks to its optical image stabilization and wider aperture. The 6s also offers a great photo, but it relies on a bit too dark of an exposure and an orange tint. Though we can't currently embed the P3 Wide Color space for our iPhone 7 pictures, I still want to show off how each of the 4.7-inch iPhone models handles color. This photo, of a red flower struck by direct sunlight, showcases both the 6s and 7 quite nicely. All three shot the flower at 1/120th second shutter speed, but received markedly different results in lighting: The 6 gets a beautifully deep red color on the flower, but underexposes the surrounding plants and overexposes the sky; the 6s finds a better balance between the flower and surrounding plants, but still blows out the sky; and the 7 chooses to go for a less-vibrant flower, but richer array of surrounding greens and a gorgeous depth of field. Though I do wish the 7's flower was redder, it's an easy post-production fix; trying to get the skies of the 6s and 6 photos to underexpose or add depth of field is a much more cumbersome task. All three photographs of this yellow flower look great, though the 6s and 7 tend to prefer a warmer color tone and grab more detail on the petals and background. This purple flower is the best in-nature example I found during our outdoor adventures to display the new wide color camera: Though the magenta hues found in both the 6 and 6s pictures are pretty enough, they're a fallacy: In reality, the flower is much closer to the iPhone 7's plum hue. Aside from the color variation, both the 6s and 7 get excellent macro shots here — even capturing a small spiderweb — and the 6 doesn't do too shabbily, either. Again, all three cameras do pretty well at this outdoor macro shot, but the 7's ISP grabs the best auto-exposure (1/120, compared to the 6s's 1/150 and 6's 1/130) and most variety in colors. Inside we go! We alternated taking these shots in brightly- and poor-lit areas of the house, noted accordingly. Starting this challenge off on Hard mode, I snapped a photo of Rick and our two pups in a sunlit area. Though the dogs were mostly cooperative, the cameras still had to deal with slightly fidgety subjects and variegated light. All three shots are pretty nice portraits, though the 6s and 7 deal with movement a bit better than the 6, and the iPhone 7 has more detail in darker areas of the pictures (see the bottom right, next to the dog's paw). When it came to indoor selfies, we shot three: Indoors in sunlight; indoors in low light, and indoors with a flash. Both the well-lit and darker selfies show the improvements in Apple's front-facing sensor tech over the years: The iPhone 7 has the best detail for both shots, with better color metering and auto-exposure. The iPhone 6 looks like your traditional flash — brighter in some spots (like Rick's knees), darker in others. The 6s and 7 both expose equally, though in honesty, I prefer the color and light metering on the iPhone 6s here to the iPhone 7; in our tests, the iPhone 7 tended to lean more orange than the 6s's slightly blue tint, giving everything a slightly more sickly gleam. Selfie flash is where I actually found myself pleasantly surprised: The improved Retina screen flash gives a pleasantly rosy glow to the scene without overexposing either Rick or myself. The 6s still does well, though the results leave us a little pale; the 6, of course, has no Retina flash, so this low-light selfie ends up blurry and very grainy. To test indoor motion, we had Rick do a quick juggling test, which we shot in each iPhone's Burst mode, then picked our favorite shots. Though the iPhone's shutter in indoor light isn't fast enough to catch a ball perfectly in motion, all three cameras do well at isolating the main subject while creating nice blurs of the juggling balls. The iPhone 7 offers the best overall detail and color grading in the scene, though the 6s isn't far behind, and the 6 still takes a pleasing picture (even if it doesn't quite get the colors in the room right). For our final test, we had our two dogs pose in sunlit and dim areas of the house, respectively. Similarly, this dark hallway shot of our dog highlights the iPhone 7's excellence in getting fine detail even without a ton of light. The 6 struggles with almost any motion in dim areas, opting instead to blur color and fur together; the 6s does a better job with movement, but still has trouble defining dark areas; and the 7 manages to get flecks of the dog's fur even in the darker underbelly areas. If anything, these tests showed me concretely that Apple's cameras are aging well: The iPhone 6 and 6s can still take excellent photos, and you don't need the latest and greatest to compose a great shot. That said, the iPhone 7 offers subtle but important increases in detail for those who want to use their photos for non-Instagram endeavors, better depth of field thanks to the f/1.8 aperture, and wonderful low-light support. The device's wide color profile may not seem like a huge improvement at present, but if you're shooting bright colors or want shots that are more true-to-life, that alone is a great reason to upgrade. And if you're a selfie-lover — especially if you're coming from the iPhone 6 — the jump from 1.2 megapixels to 7 is enormous (as is support for 1080p video recording, which we didn't showcase in this comparison, but I still find pretty darn cool). For me, wide color, the f/1.8 aperture, and the first 4.7-inch iPhone with optical image stabilization in it were all the reasons I needed to jump from a 6s to a 7, but I'm also a tech junkie who's been snapping photos on the latest and greatest smartphones since 2005. The 6s is still an excellent camera, and if you need to wait a year due to finances or you're just not that impressed with the iPhone 7 as a whole, you're not going to destroy your Instagram following by doing so. If you're on an iPhone 6, you could wait another year for next year's iPhone. But personally? I know I wouldn't.